Need inspiration from the history of fine engraving? Want to experience the width and breadth of human knowledge and achievement up to the mid-19th century through illustrations – nearly 12,000 of them? 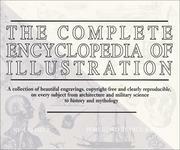 Check out the Complete Encyclopedia of Illustration!